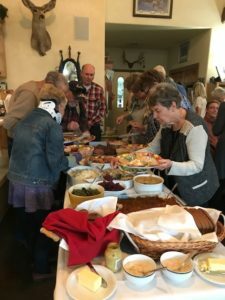 The High Country Inn has been involved in charitable giving since its inception, and for many years helped with fundraising events for the local hospital foundation by providing cooking facilities as well as serving big dinners for the annual Harvest Moon events held each fall for over ten years. 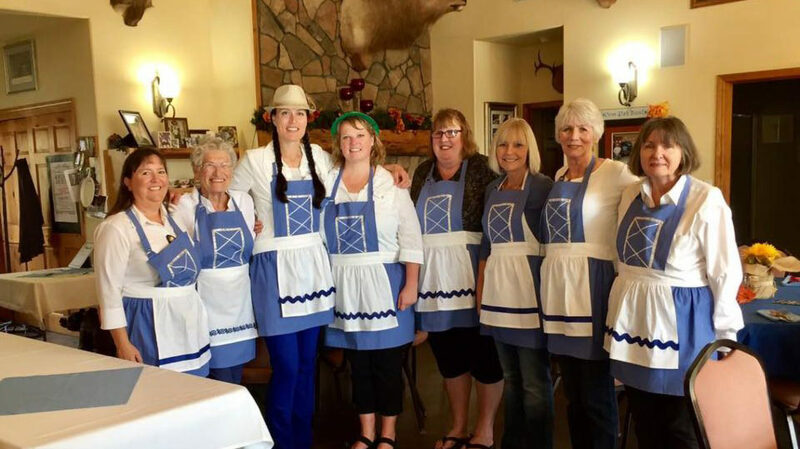 In 2009, Jo Moore became involved with the Orofino’s library group of Friends, (Clearwater Memorial Public Library, CMPL Friends) and helped organize and carry out annual summer events to help provide funds for library projects. Then in 2015, Jo was asked by the library board to form a foundation to pay for a million-dollar expansion for CMPL, and Jo accepted the challenge. Since then, a foundation has been formed, and Jo’s enthusiastic volunteer board has been able to raise almost half of the funds needed through events, grants, and outright donations. As of the year 2019, the first two phases have been paid for, with funds being raised for phase 3 already begun toward this massive project. 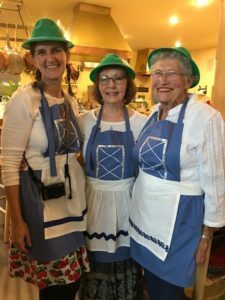 2019 promises to be busy with events to be held in April, June, and October, all to be held on the donated premises of the High Country Inn. In recognition of Jo’s efforts to launch and carry out this important community project, the Rotary Club of Orofino named her its Outstanding Citizen of the Year in 2018.